So much traveling; so many photo blogs! 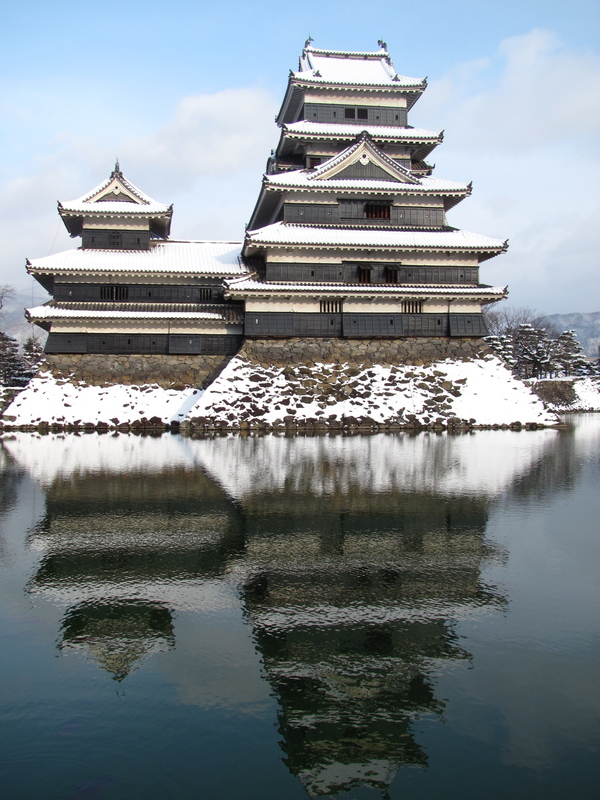 I went to Nagano for the long weekend and got to see Matsumoto Castle (松本城), a.k.a. Crow Castle (烏城). 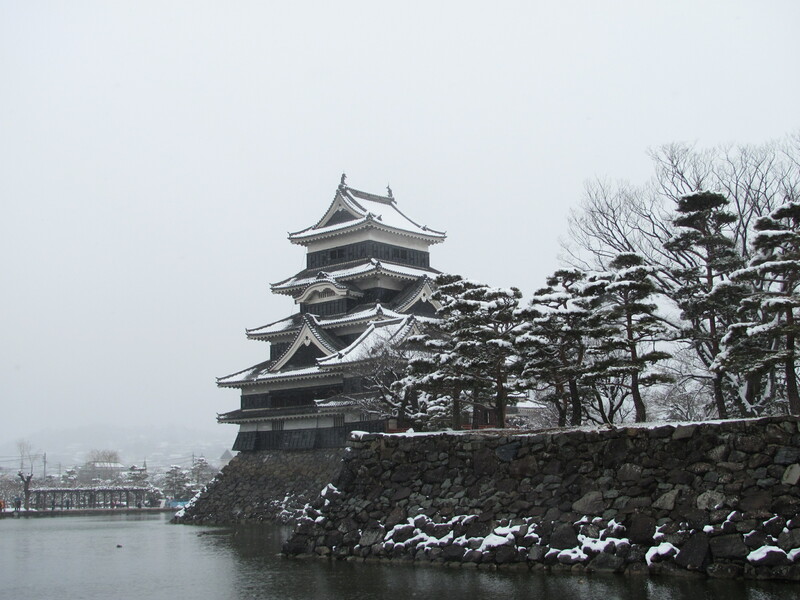 It’s a stunning castle to visit in the winter. 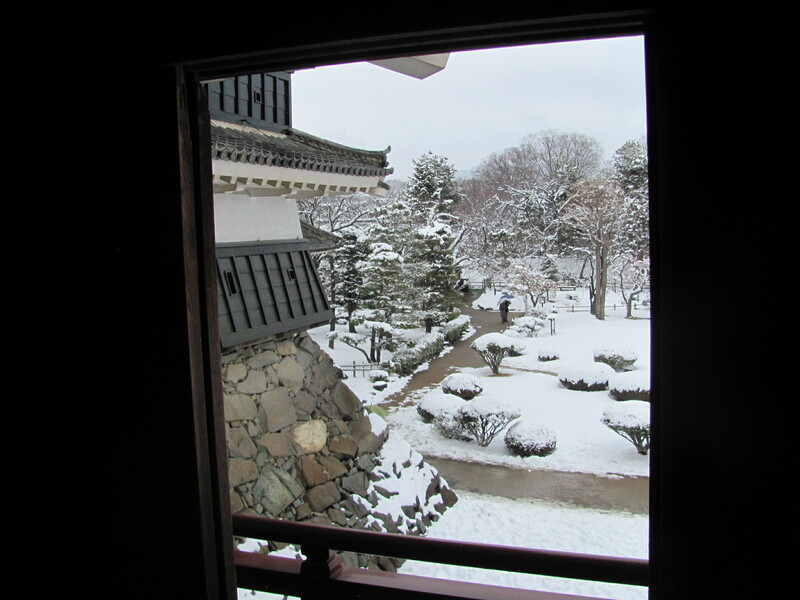 The castle has a long history dating back to the Sengoku period (戦国時代), and once belonged to the Takeda clan and Tokugawa Ieyasu. It’s designated as a national treasure. Inside the castle is the Gun Museum, a collection of historical guns. 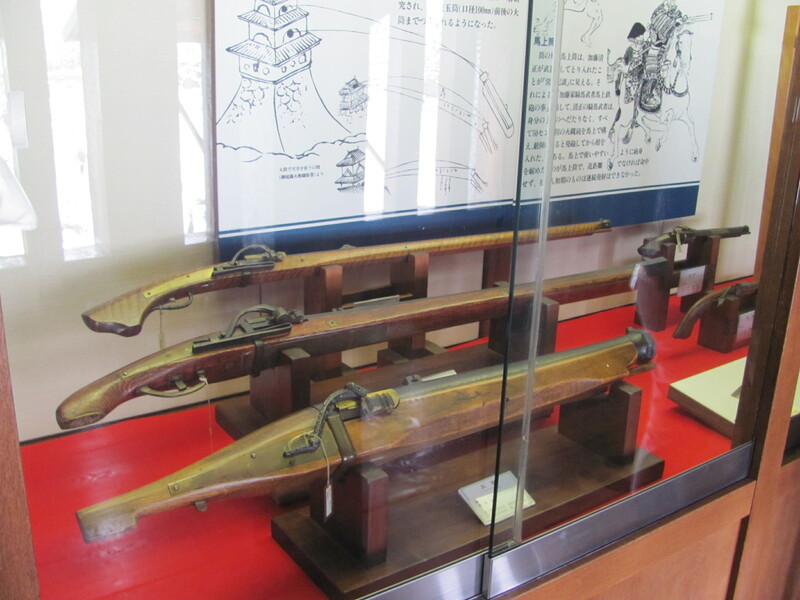 After the Battle of Kawanakajima and this museum, I really appreciate why Lady Eboshi had to make the guns lighter for the women of Tatara in Princess Mononoke–some of these guns were 4 kgs! Up and down several terrifying staircases later, we got a nice view of the garden. 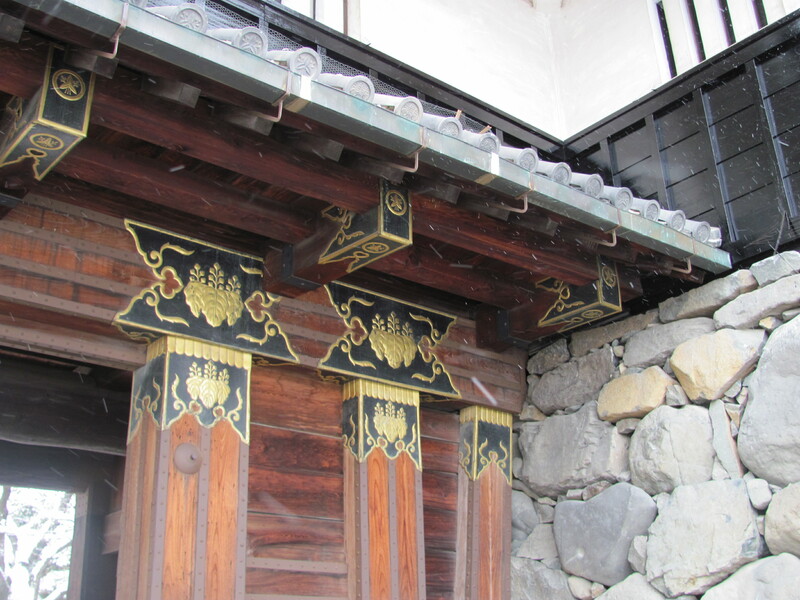 For more information on the history of this castle, check out Japanese Castle Explorer‘s page.